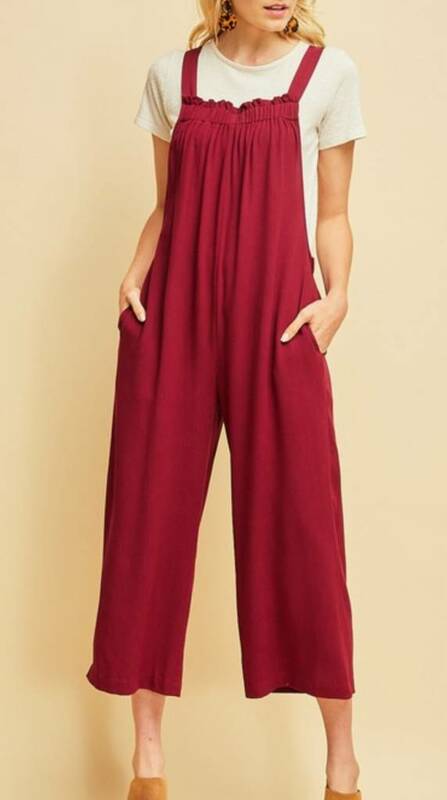 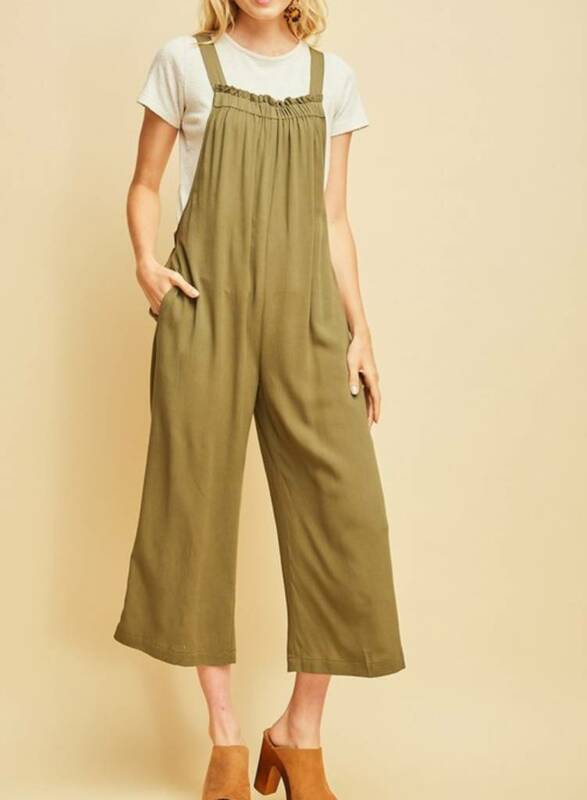 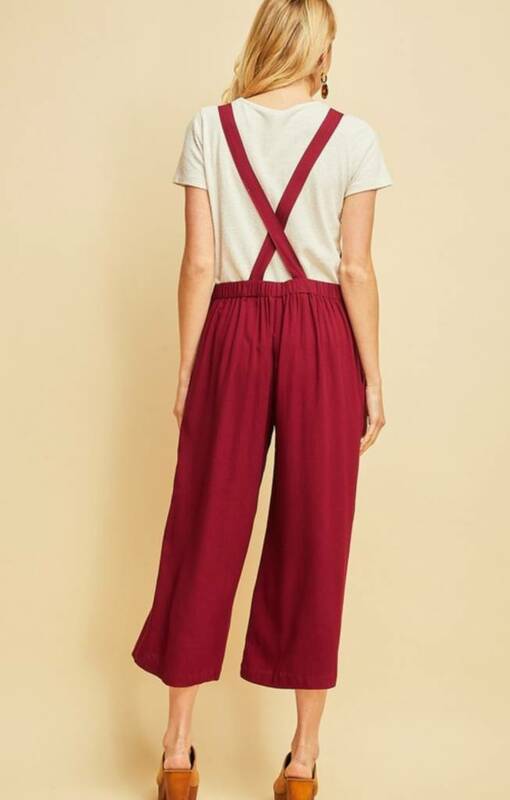 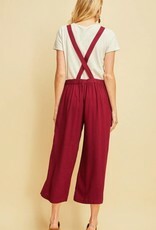 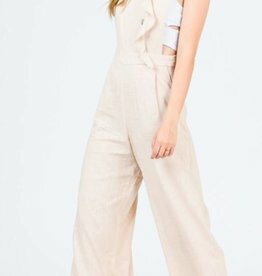 Square neck jumpsuit featuring pockets on sides. 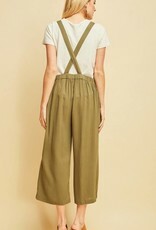 Non-sheer. 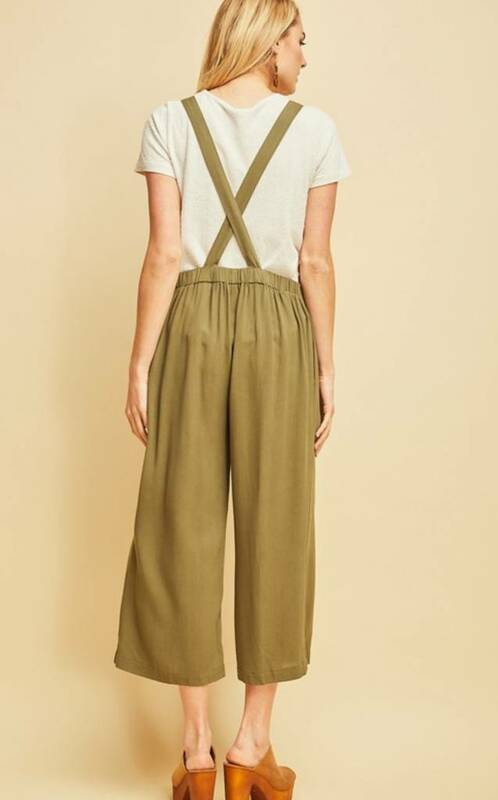 Beautifully lightweight woven material.